Part 18 of my series of Kiss reviews, leading up to the release of Monster! 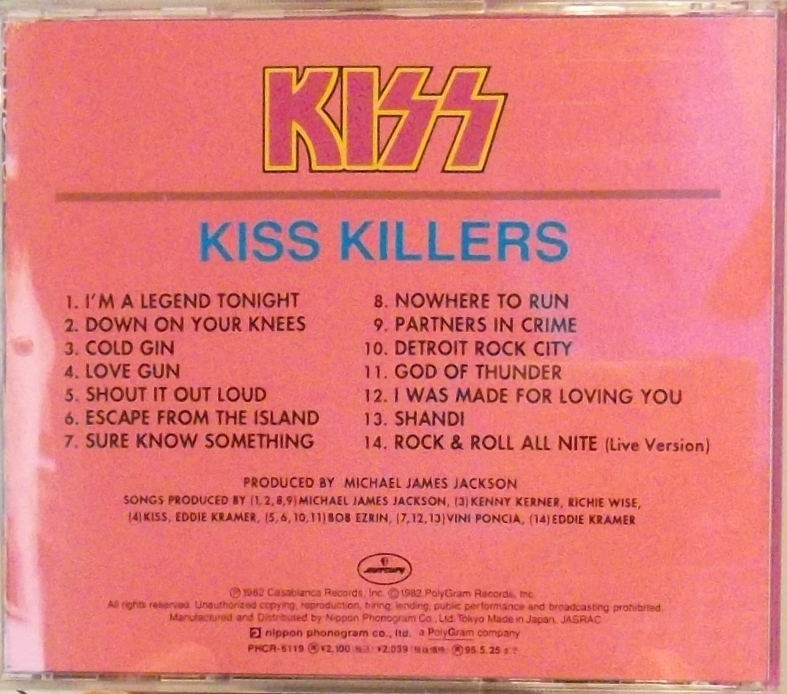 Killers is a greatest hits CD with four “new” tracks, released in ’81 everywhere except North America. After The Elder bombed, the European record company requested demanded a greatest hits album with new songs, specifically rock songs, no exception. Paul Stanley sings lead on all four new songs, and Paul, Bob Kulick & Robbin Crosby play guitar in Ace’s absense. Yes, Ace was on the album cover but nowhere on the album. He was effectively though not yet officially out of the band. “I’m A Legend Tonight”: A great song with Eric Carr finally showing off what he can do on the drums. Although Paul himself tends to disown the songs on Killers, this is great. The riff is very memorable and the song is catchy (even if the chorus reminds me somewhat of “I’m So Excited” by the Pointer Sisters). “Down On Your Knees”: Co-written by Bryan Adams (his first but not last collaboration with Kiss), this is a nondescript rocker. Catchy enough as an album track, but not outstanding. The cymbals are mixed a little high. “Nowhere To Run”: The was one of the first songs written for The Elder sessions, and you can kind of tell by the falsetto that Paul employs in the bridge. It was dumped when they decided to go all concept album on The Elder, but here on Killers it is the standout track. The riff is stellar, the acoustic intro is cool, and Paul’s singing is perfect. “Partners In Crime”. The weakest song. It’s a slow plod with nothing really going for it. 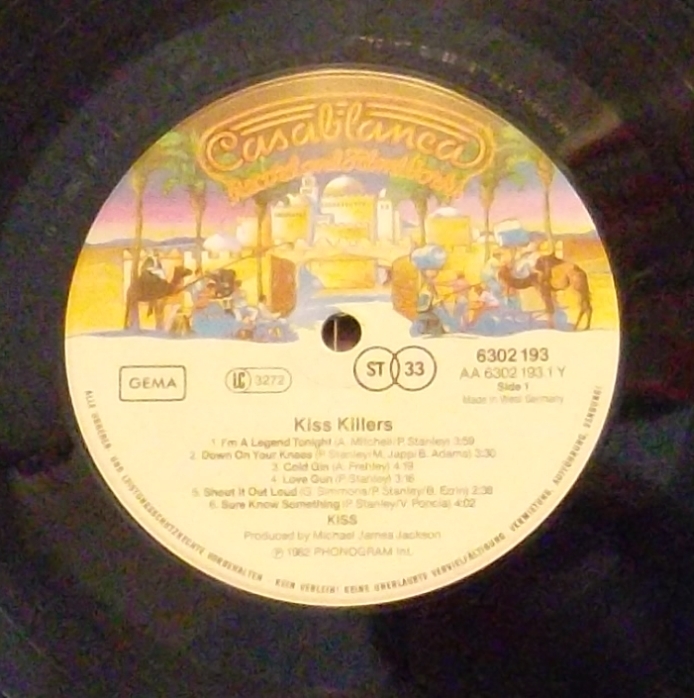 The rest of the album is filled with the greatest hits, but it is crucial to note that aside from one track on an Australian-only version (“Talk To Me”), all songs are sung by Paul and Gene. I do not believe any of the hits are remixed, but some feature edits/fades not present on the original albums (“Detroit Rock City”). I loved that “Sure Know Something” was included as it’s one of Paul’s under appreciated classics. The Japanese, which I have, included “Shandi” from Unmasked and “Escape From The Island” from The Elder. An instrumental, “Escape From The Island” was one of the few rockers on The Elder, which Ace wrote. Therefore, the Japanese version is a much more complete version and the version I recommend. 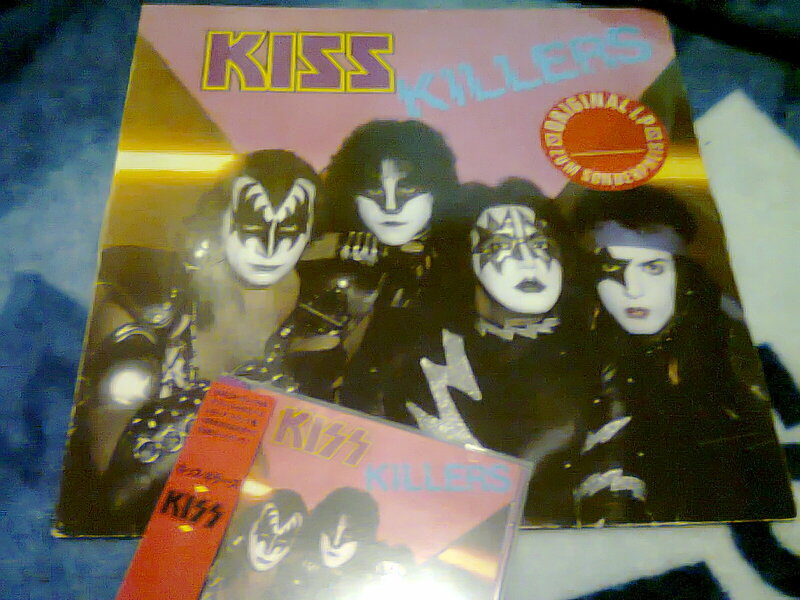 Killers is actually a great CD for new and old fans alike, which is a rare thing in the KISS catalog. There are cheaper compilations out there, but this one has a nice variety of tunes including oddballs like “Sure Know Something”. Of course there’s the four new songs too, two of which are really special. Robbin Crosby? Really? Are you sure about that? It’s the first time I heard that he had any involvement with Kiss. I think the four new songs are all good, but I think it’s real strange that Michael James Jackson produced them and they sound so weak, when he did such a brilliant job with Creatures Of The Night and Lick It Up. Those albums sounds like a thunderbolt or something. Musically I think that both Nowhere To Run and I’m A Legend Tonight could have been off Paul Stanley’s 1978 solo album. This album could use a remaster, I guess. 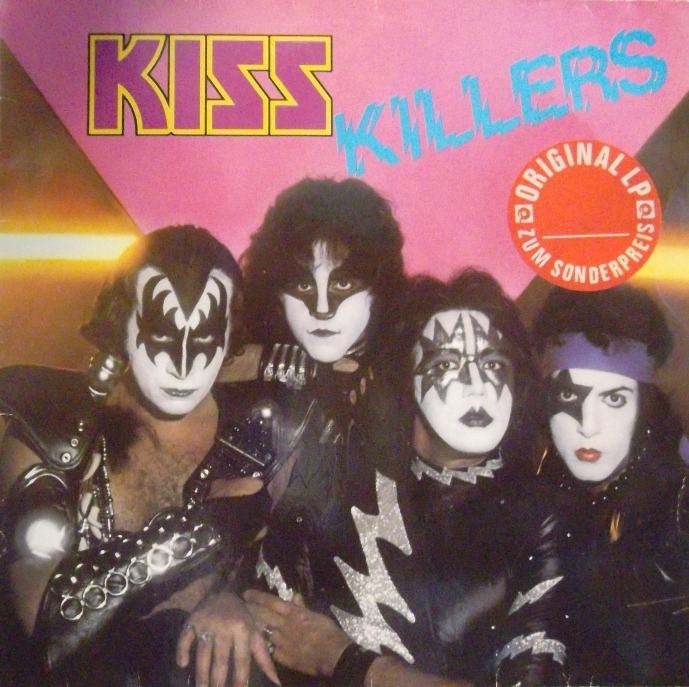 Also, I think it’s kind of weird that the cover pic is from the The Elder sessions when this album was released to show people that Kiss were back as hard rock act again. I wish I could tell you the book that I read that Robbin Crosby quote in. I know it’s a book I own, but which one and where it is currently I don’t know. When I find it I’ll post the title. It was Paul who made the statement, and he referred to Robbin as “a friend of ours”. Who knows how much he played. Agreed on pretty much everything you said. I don’t know why this album has never been released in North America! I’ll take your word for it, it’s just that I haven’t heard that before. Paul and Gene are funny sometimes, they hated the fact that Ace and Peter were drinking and doing blow, but still they didn’t mind bringing in a heroin addict like Crosby in for the sessions. Or maybe his addiction hadn’t gone that far yet, when these songs were recorded. I found the book: Still On Fire. Now take it with a grain of salt because while the book had plenty of deep knowledge in it, over the years I also found some errors. If the quote about Robbin Crosby is an error, I have no way to know. It reportedly came from Paul as the source.